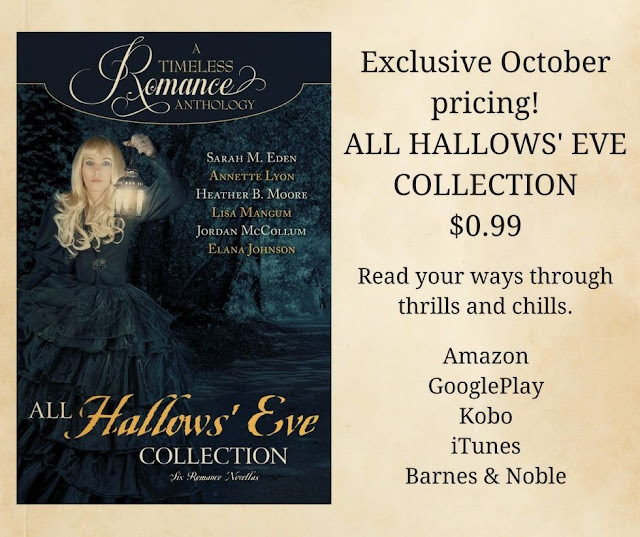 I am a huge fan of the Timeless Romance Anthologies! They always have some from my favorite authors and some new-to-me authors that I can experience a bit of their writing style. 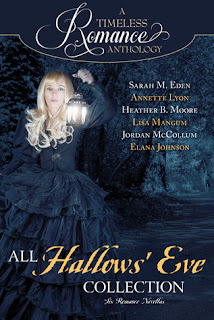 In this spooky collection, I loved the first three historical stories the most- I felt like the ghost factor is more believable for the older time periods and the interactions of the characters are sweet with the mannerisms of the era they are set in. "Of Ghosts and Gardens" was utterly charming, from the way the Enid and Burke meet and immediately respond to each other in friendship to the family and community's obsession with the local ghosts and folklore. The mystery they worked on together was interesting and the ending was perfection. "It's You" has a melancholy feeling with the regrets of the ghost coming to light through the efforts of Anna and Charlie, but they have some pleasant sigh-worthy moments that lighten the mood. "Sophia's Curse" felt like I was reading a full-length novel, the plot was meaty and the characters complex. The contemporary stories were well-written but not quite my cup of tea. "The Man of Her Dreams" reminded me of a crime-drama TV show like The Ghost Whisperer and was full of suspense. "The Siren's Song" blended a mythology vibe with a modern-day grieving widower. "The Ghost of Millhouse Mansion" featured a sassy heroine and a twist similar to the film The Sixth Sense. So if those are themes you enjoy the contemporary stories are for you!